Todd and I have been a little slow in bringing out new episodes recently, and I hope you can forgive us. In the last three weeks we’ve had Todd going on holiday to France, me going to Germany, my mum’s 60th birthday, my 30th birthday, and we’ve both moved (or are in the process of moving) flat. Trying to fit in podcasts to that insane schedule has been challenging. But we’re back this week with an episode on creating the perfect training program. I’ve talked before about the importance of not focusing on perfection, and instead focusing on getting the work done. But it should also be said that I have created 5,000+ training session plans in my life (complete estimate) and have gotten rather good at it. No two people are exactly alike, and as such no one training program can suit everyone. So this training program is going to be aimed at my most common client: Male, looking to build some muscle and lose weight who has been training for a few months but isn’t getting anywhere. To start off with, we’re going to add in some of the basic lifts: Deadlifts, Barbell Squats, Bench Press, Lat Pulldown, Bent Over Row, Romanian Deadlift, Push Press, and Lunges. These are the big exercise building blocks that you create your program around. Next you would add smaller exercises, isolation work that targets single muscle groups. These would include: Bicep curls, tricep extensions, hamstring curls, leg extensions, rear delt flyes, face pulls, and abdominal crunches. As we are aiming to lose weight and build muscle (something borderline impossible for experienced lifters) we are going to use a slightly higher rep range than you would for a strength training program. The only exception to this will be the deadlifts, as this exercise only suits low reps. We will split the training sessions into an upper/lower split, which works well if you train 4 times per week. If you only train 1-3 times per week, then a full body program works best. So there you go, my version of a perfect training program. If you follow this exactly you should get some seriously good results. Of course, as always if you have any questions please contact me and I can help you sort it out. This week’s beer was a special Oktoberfest beer from Spaten. It is specially brewed in Spring to be ready for the Oktoberfest in September/October (which I attended this year). The beer is really decent, and is quite strong (5.9%). The bottled beer tends to taste quite a bit stronger than the draught beer, but both are excellent. 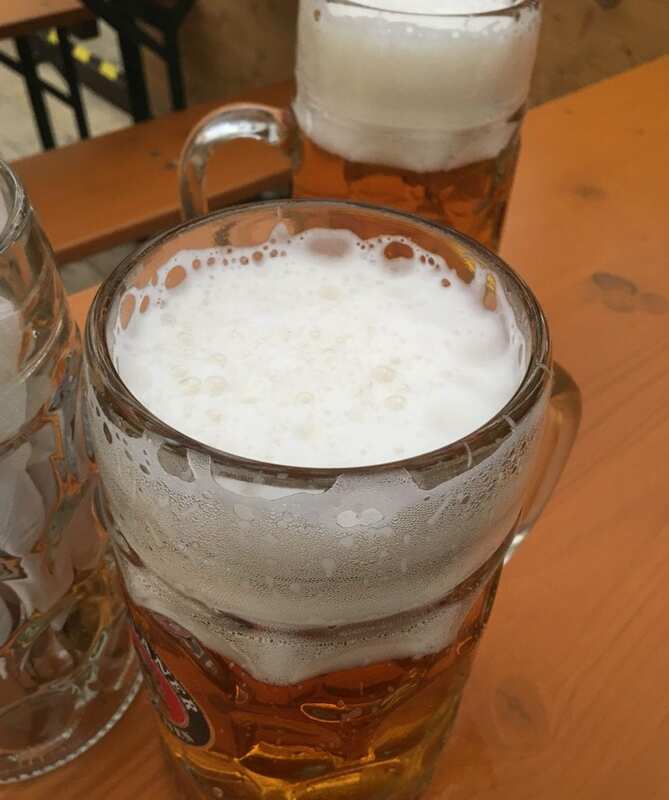 We will be going a lot more in depth on Oktoberfest in our next podcast. We also discussed the various differences between bottled, canned, and draught beers, and some examples of beers that we preferred in each form.